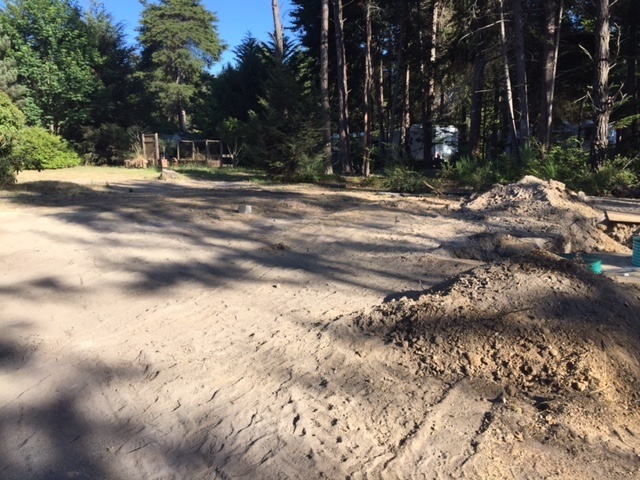 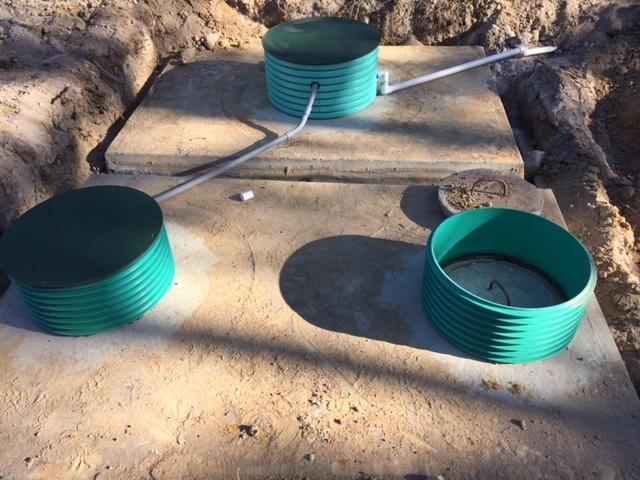 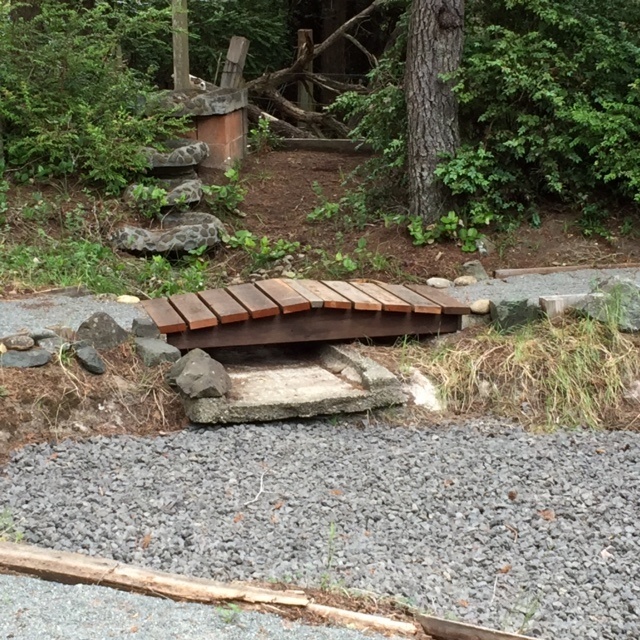 Exciting update on this listing- a new septic system has been completed which will serve the home, RV hookup and eventually the garage which is rough plumbed for a bathroom. 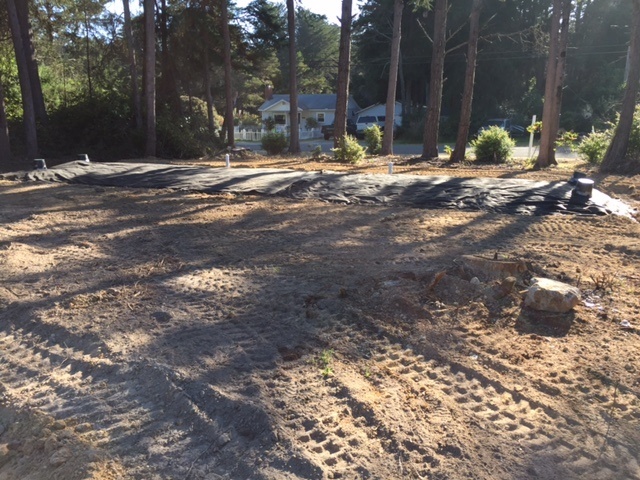 Newly graded soil is ready for seeding a broad swath of grass or developing your vision of a garden area. 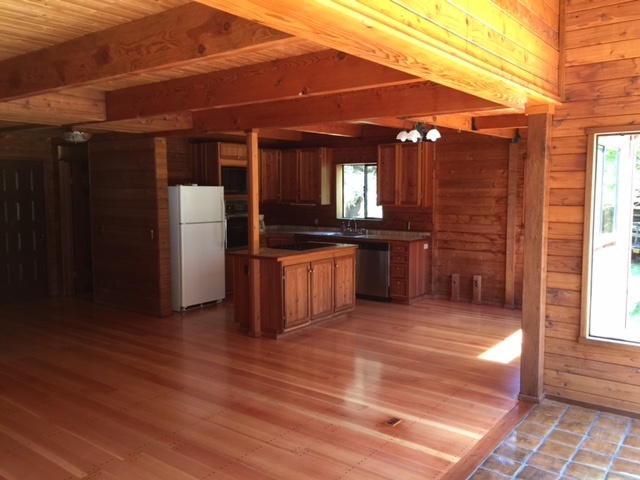 In the real SUNBELT – Contemporary all wood custom 1526 sq.ft. 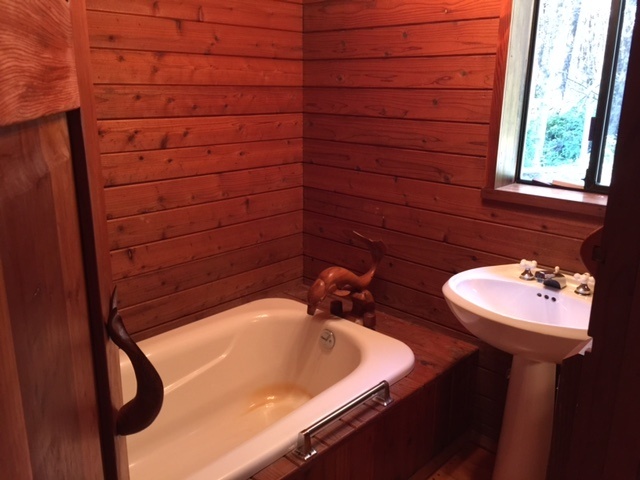 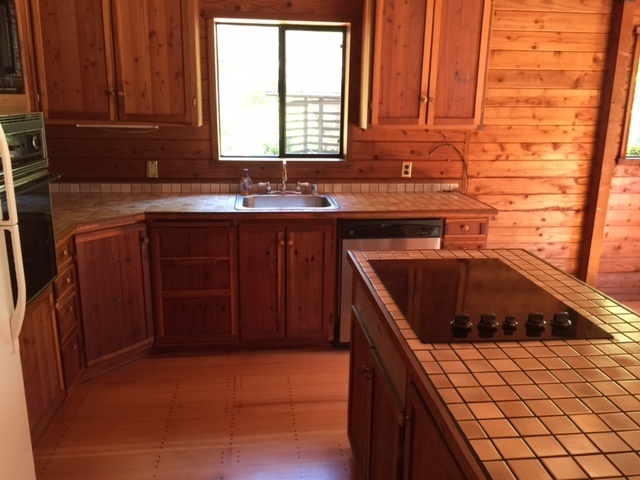 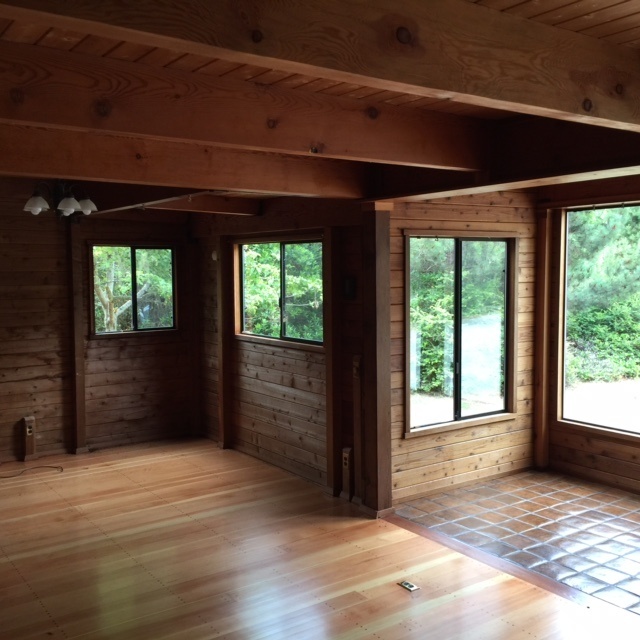 home with beautiful fir floors, cedar and redwood construction and artful touches throughout. 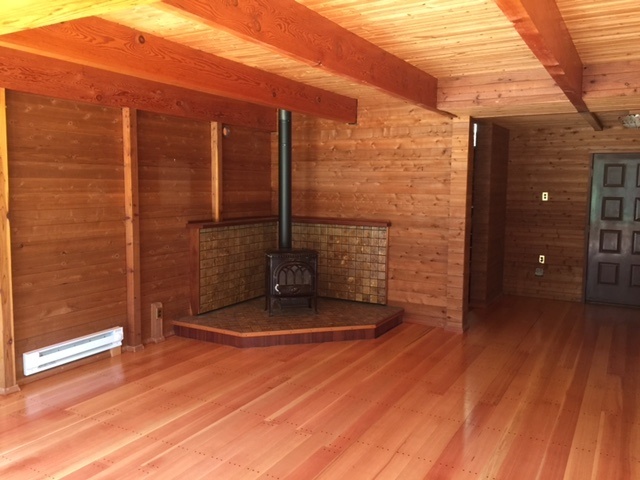 2 bedrm ,2 bath home has open floorplan downstairs featuring many sunny windows and a Jotul woodstove on tile hearth. 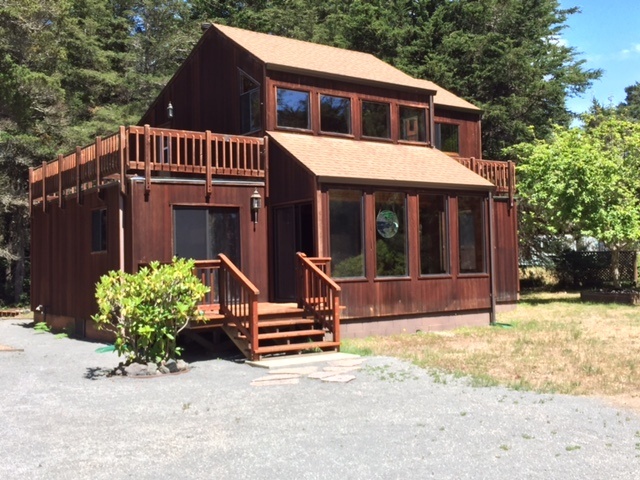 The spacious master bdrm has a sitting area, vaulted wood ceiling, walkin closet & 3 balconies. 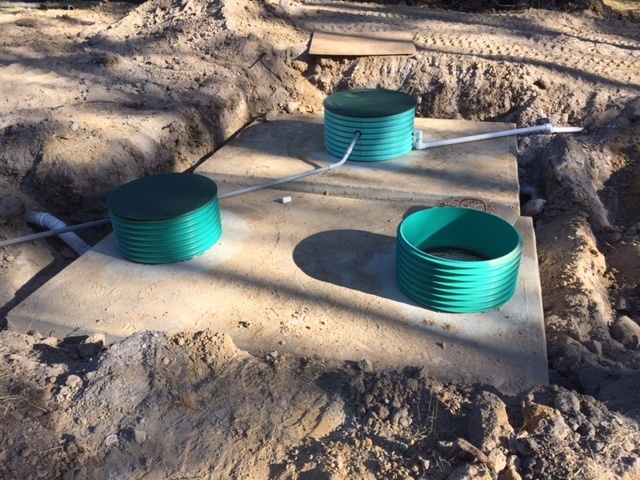 A detached 20’x 36′ garage is rough plumbed for a bathroom. 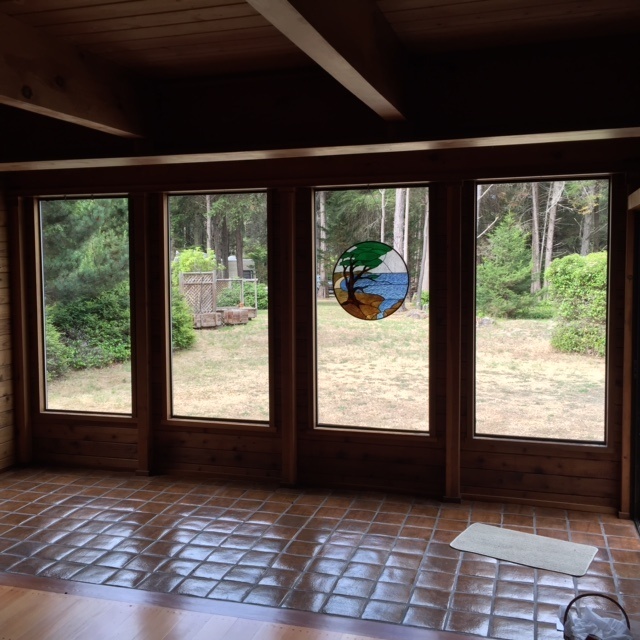 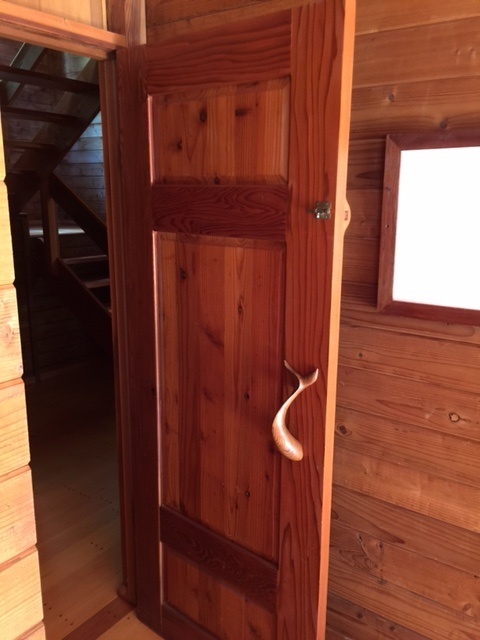 Owner builder was an artist who created carved redwood dolphin door handles and well placed etched glass clerestory interior windows. 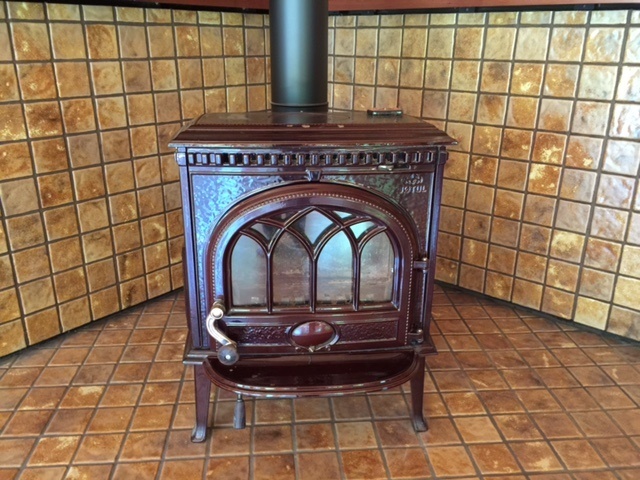 All appliances are included in sale. 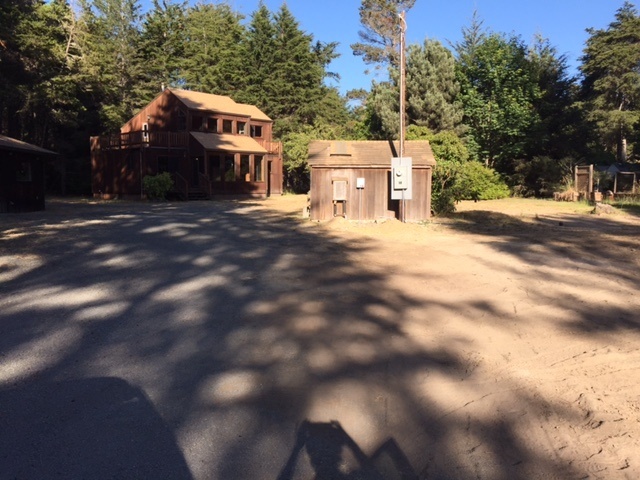 2 electric meters, RV parking area, extra parking and a sunbelt location close to Noyo Harbor and shopping but in a country setting.